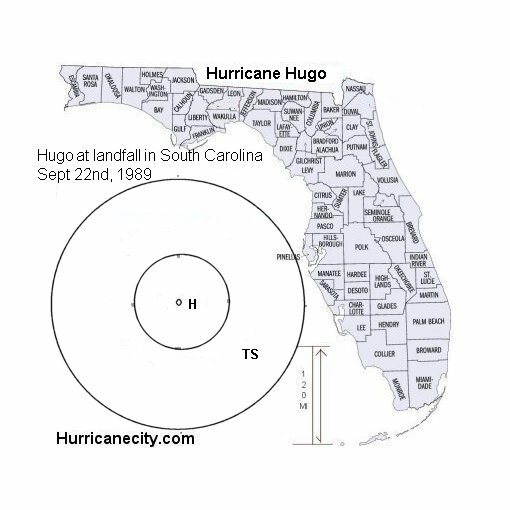 Hurricanes big small, how big were they? 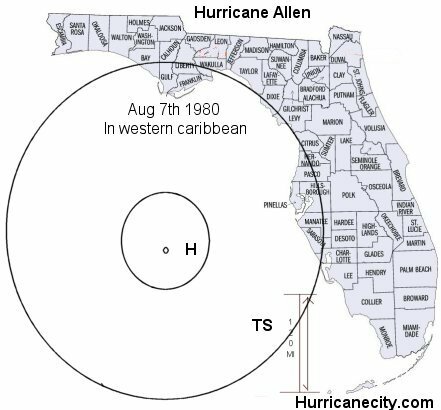 Hurricanes, how big were they? 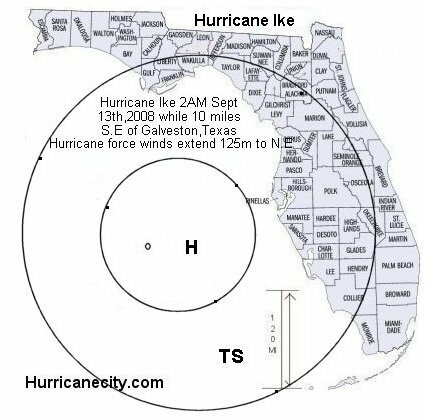 Does size matter? 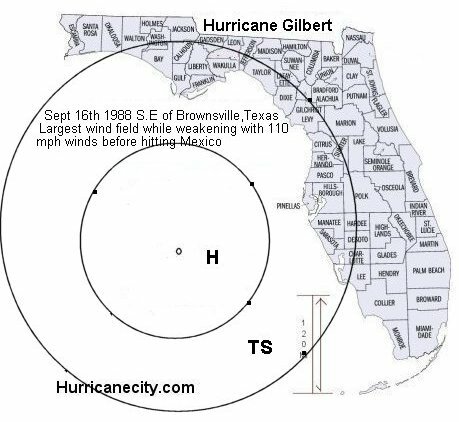 None of these hurricanes were located exactly in these locations. 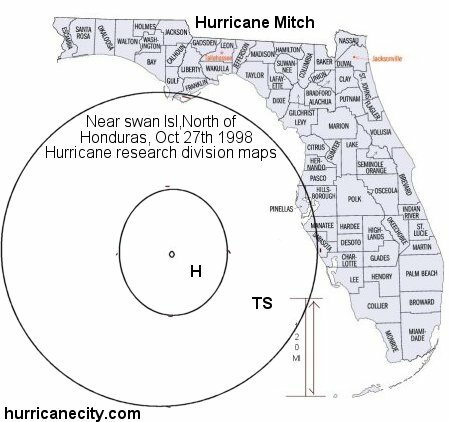 These actual hurricanes and sizes took place in the Atlantic basin at different locations as noted. 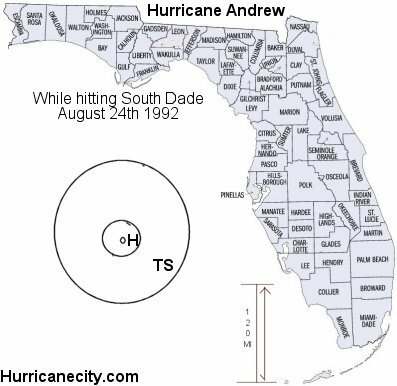 This gives a visual of comparisons to past Hurricanes and how large of an area that could be affected. 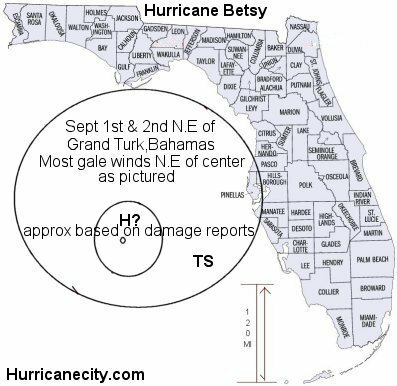 When the eye is off centered it is a reflection of the advisory stating winds 100 miles N.E. 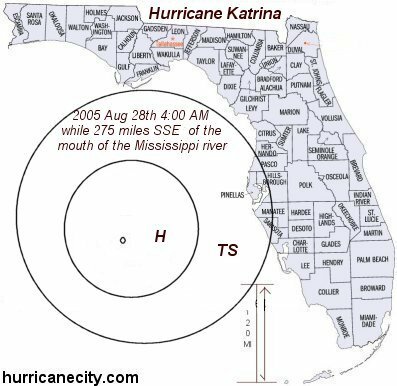 & 50 miles S.W. 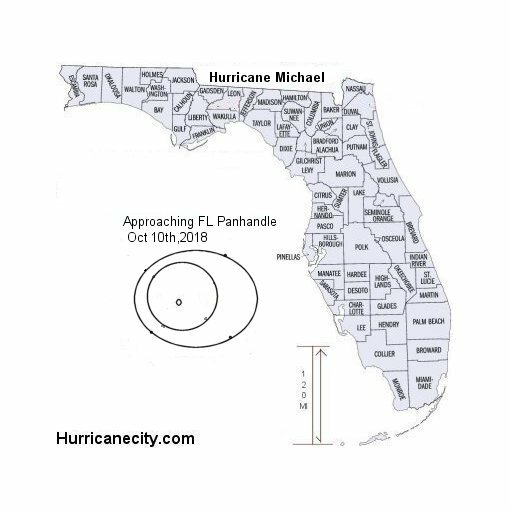 of center. 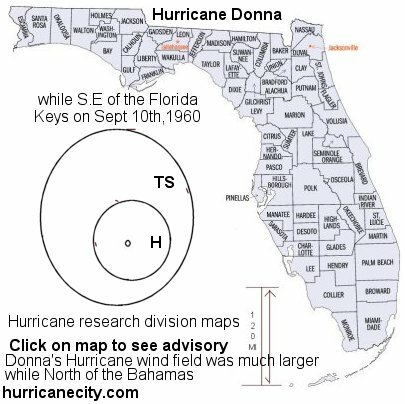 Also of note is that the size of each Hurricane could have fluctuated throughout it's journey, although not significantly. 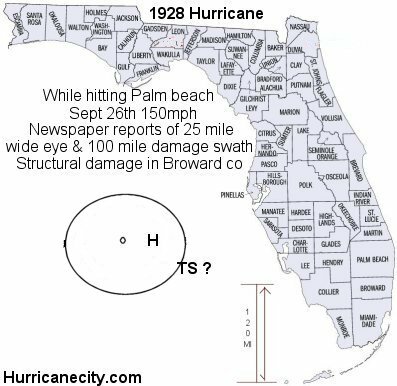 The size of the eye did fluctuate and is not noted on any of the pictures below. 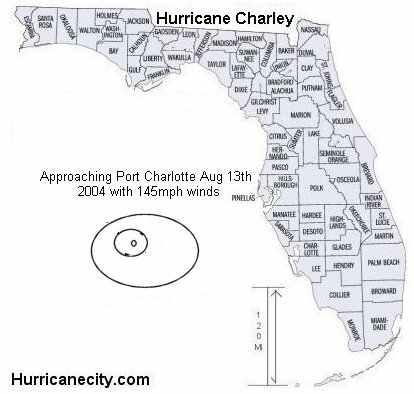 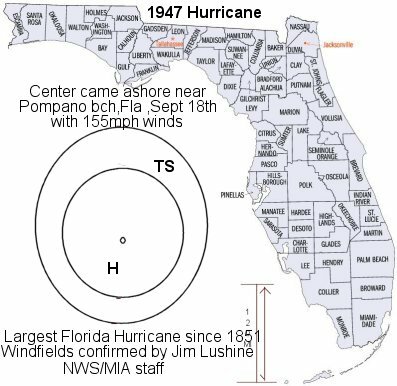 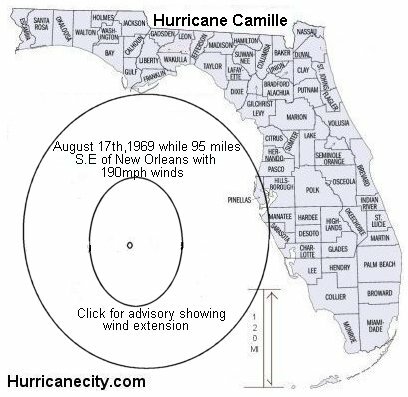 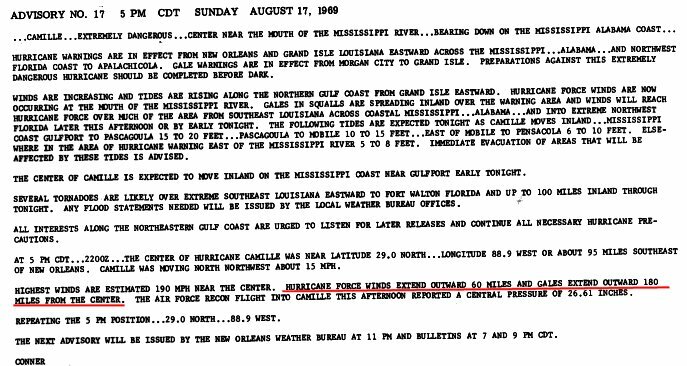 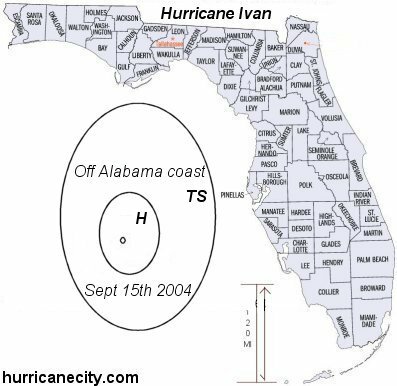 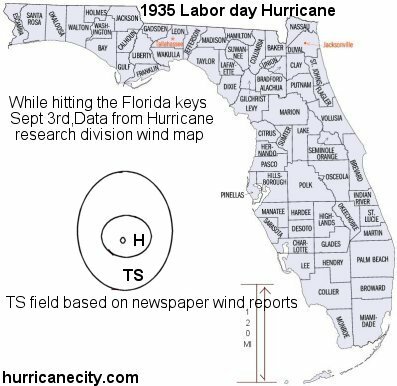 The sources for this information: TPC archives, Hurricane Research Division and newspaper articles showing advisories with wind fields.